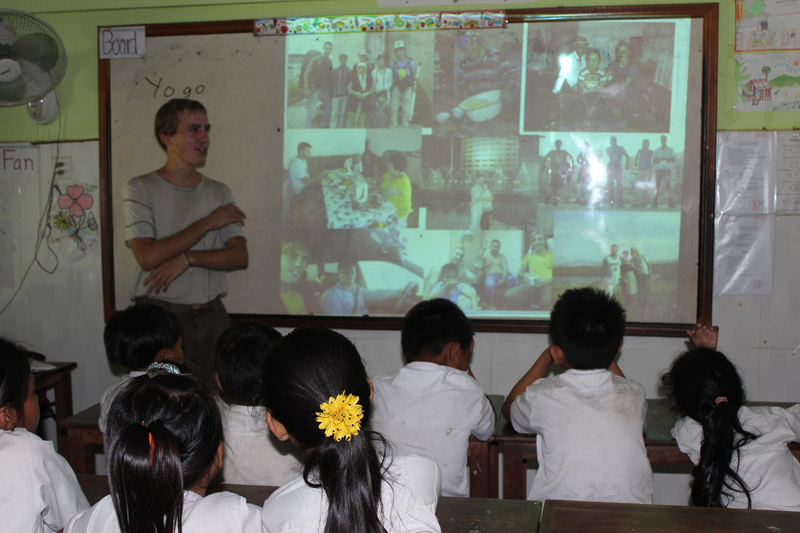 He might be a modest young 26th year old man, but he has a strong character and he recently stopped by to visit thirty Taramana students a few weeks ago. Yogo, whose real name Nathanaël, is passionate about traveling and a real adventure seeker. 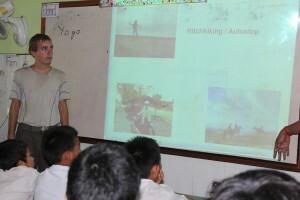 An French engineer by training, he decided to travel solo taking all sorts of transportation means except for airplanes. He travels mainly on foot or hitchhikes. This young adventurer who loves nature and the environment decided to share his passion for itinerant travel and intercultural exchange with other young people in schools situated in the various countries he travels through. He even put into place a world relay in which he exchanges school childrens’ drawings between schools. 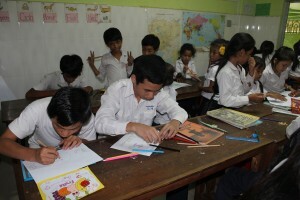 Kids from Taramana received drawings from kids in Kuala Lumpur in Malaysia and the drawings Taramana students make in Cambodia will in turn be given to school kids in Thaïland, the next leg of Yogo’s trip. An overall enriching and interesting experience for kids from our Centre who realized it is possible to travel to unknown destinations and they were also able to ask our intrepid visitor many questions.